Promote Enterprise supports businesses to achieve their objectives through a range of consultancy services and products. Promote Enterprise has a family of 4 brands that specialise in Business Management, Customer Service, Client Retention, Sales and Marketing. To find out more about the company and what we do, please go to the About Us section. If you would like to view our four businesses please see further information as below. Promote Training provides a range of eLearning courses. Our courses are wide ranging and cover subjects such as Sales, Marketing, Customer Service and Employee Induction. Explore our website to learn more about how our eLearning courses can help you, your employees and your organisation achieve its potential. 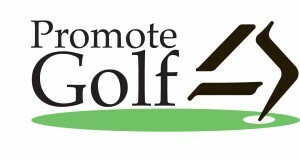 Promote Golf specialise in supporting Golf Clubs and Ranges succeed in the Golf Industry. We offer a range of services in including Membership Sales Training, Increasing Green Fee Revenue, Golf Club Management, Customer Service and Membership Retention. Look through our dedicated golf industry website to view more about what we do. Promote Leisure are a team of driven individuals who are experienced at supporting hotels, gyms, leisure centres, country clubs and countless other leisure businesses achieve their objectives. To find out more about our Leisure Marketing Services, our Sales Workshops and Leisure Management Support please explore our website and please don’t hesitate to contact us.